Bernerhof Inn - Jackson NH and Mt. Washington Valley Area Information. Pumpkin People, Tradionally Yours Events, Lodging specials, Dining and Ski Area Info. “RECENT EDITOR’S CHOICE! “~Yankee Magazine. 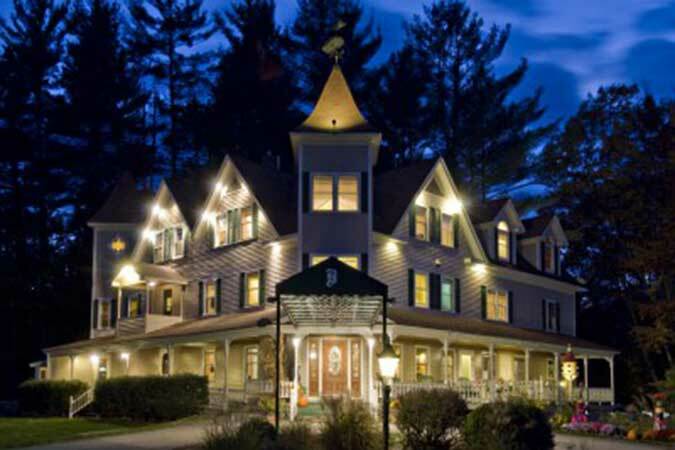 Close to Mt Washington Valley’s 13 ski resorts, XC centers and White Mountain family attractions, golf courses and tax-free shopping, make your next New Hampshire romantic getaway memory filled at the Bernerhof Inn. This White Mountain B&B offers the perfect place for experiencing the villages of North Conway, Jackson, Glen and Bartlett along with the finest in New Hampshire hospitality, culinary adventure and extra amenities.